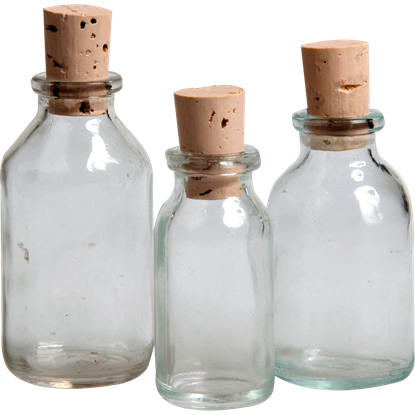 If you love writing tales of heroes, drawing fantasy realms, or simply need a place to jot your thoughts, you need a journal that fits your tastes. 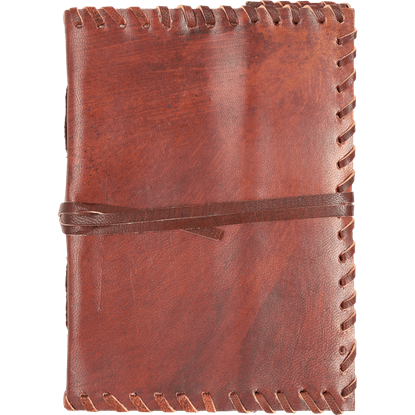 The Stitched Edge Leather Journal has a perfectly subtle and authentic medieval look. 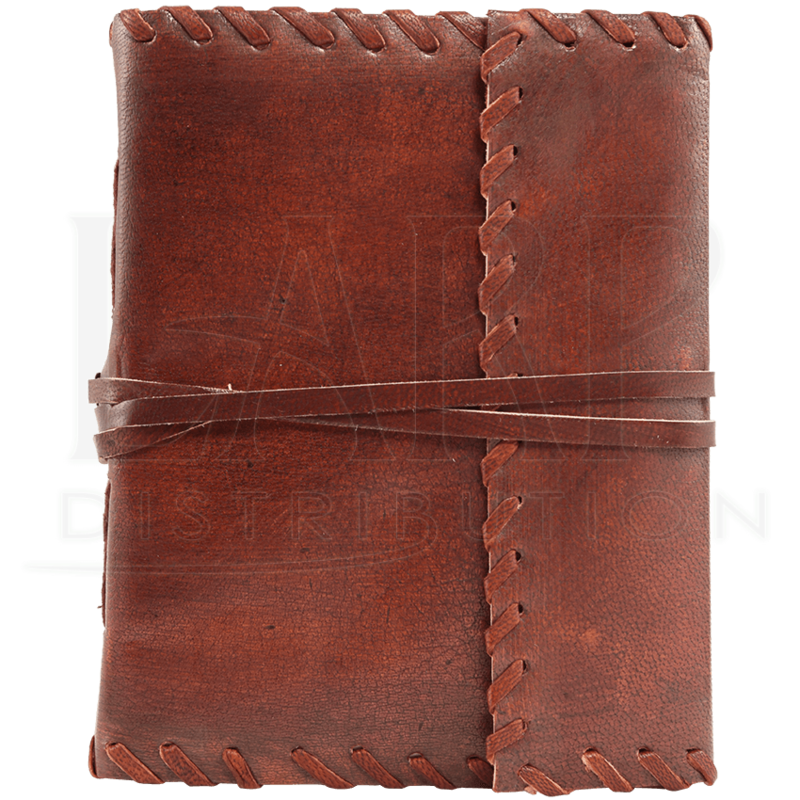 This leather-bound notebook has a fold-over design and cord stitching around each edge, as well as on the spine, giving it a genuine historical or fantasy feel. Within, it holds 120 blank pages for you to fill with writing and sketching of all sorts. 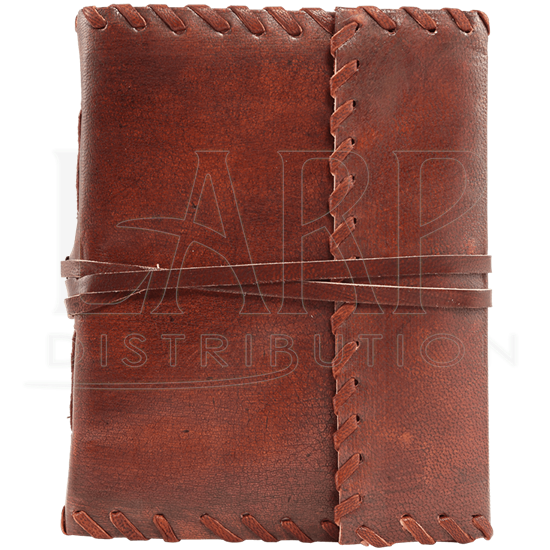 This blank leather journal is secured shut by wrapping it with the attached leather strap, keeping the inner pages safe from damage or prying eyes. Bring stylishly subtle fantasy and historical flair to your notes or drawings with this medieval notebook. 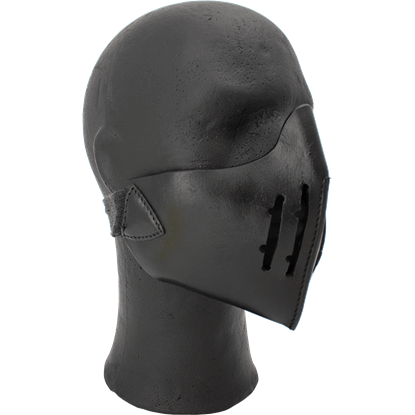 A mempo, or menpo, was a piece of Japanese armor that was designed to cover and protect the face. The Leather Japanese Mempo recreates its design in quality leather so that you can armor yourself as the legendary Samurai once did. Your journal is more than just a simple notebook. It is the vault in which you store shreds of yourself. 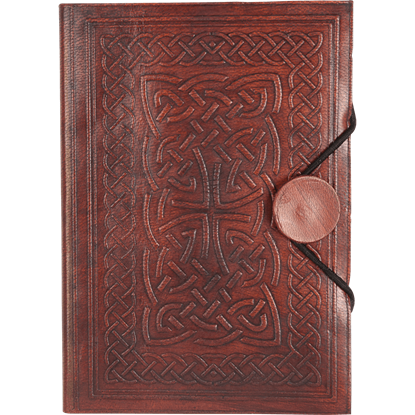 Why settle for an ordinary tome, then, when you can pour your deepest thoughts into the pages of the beautiful Celtic Leather Journal? Whether you are a writer keeping archives of your daily observations or an artist sketching your surroundings, you need a book that transcends the ordinary. 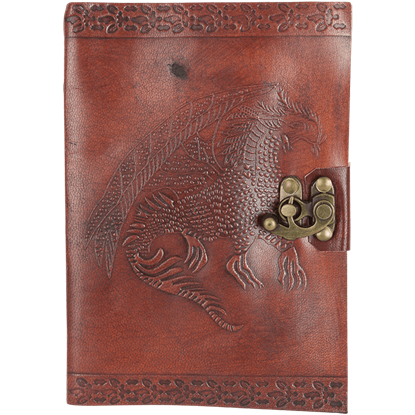 Record your thoughts or drawings in the Medieval Laced Leather Journal.